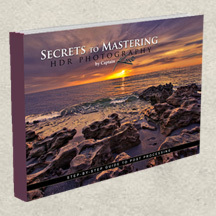 This 210 page eBook I reveal all my secrets for creating beautiful HDR photos. Follow along as I take you step by step through my entire HDR process. Learn by doing with example files and easy to follow instructions. I explain each step in detail and tell you why I do what I do. 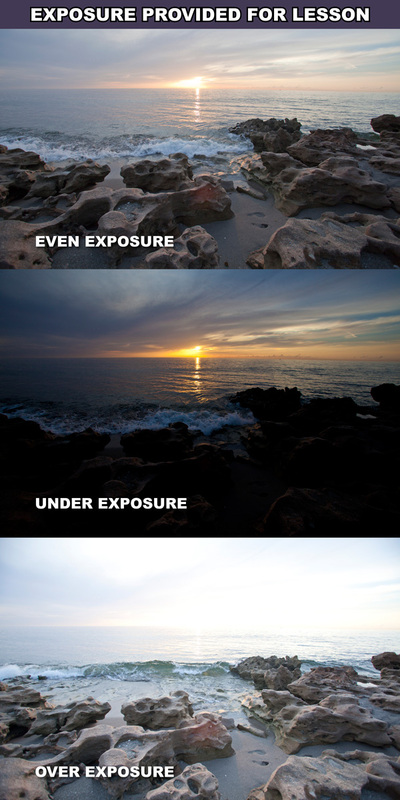 This is my complete HDR workflow from beginning to end. Limited time. Get a Lifetime Membership for one low price. Includes all eBooks and future eBooks. Learn more about Lifetime Membership. 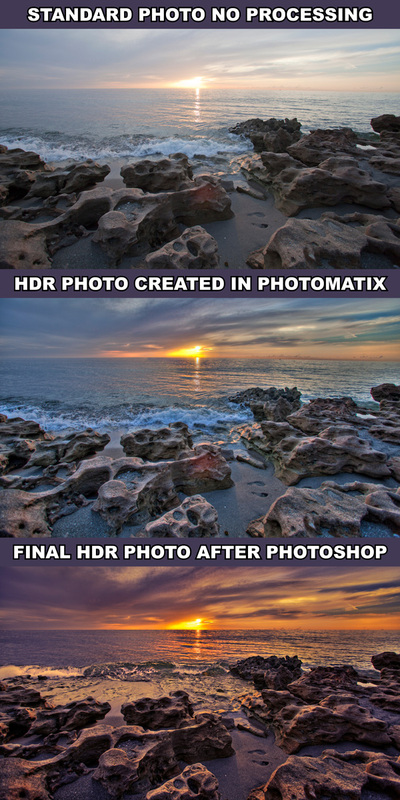 This is the action I’ve been using for my recent HDR photos. Click here for more info ($9.95 Value). Step by step guide to using Photomatix Pro, explaining each slider and how I use them in my tone mapping process. 10 Tips for using Photomatix and how to get better results. I cover basic layer masking techniques by showing you how I create blended HDR photos with Photoshop CS5. 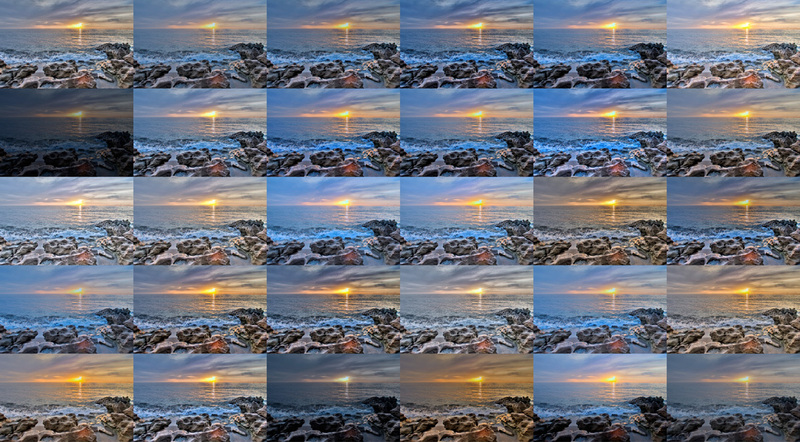 Step-by-step guide using Photoshop CS5 for post processing the final HDR photo. 10 Photoshop techniques that I use for processing HDR photos to make them look even better. 10 Tips for getting better exposures with your digital camera. 10 HDR photos and the secret technique that made them shine. 10 Inspiring HDR photos and how to get them. If you use Photomatix and Photoshop for processing your HDR images but can’t seem to get the results you’re after, then this book is for you! If you need a better understanding of Photomatix’s tone mapping options, then this book is for you! If you want to spice up your HDR images using Photoshop, then this book is for you! And simply put, for the advance or novice HDR fanatics, if you’ve ever wondered how I produce the photos on this site, then this book is for you! 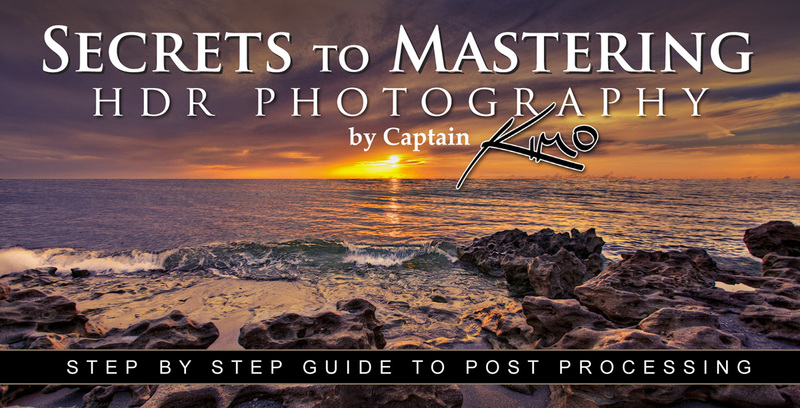 This ebook from Kim is packed with goodies and information that will be useful to novices and more experienced HDR photographers alike. (I was taking notes while reading it.) Unlike some offerings in the marketplace, this ebook ‘over-delivers’ information relative to its affordable price, and that’s the Captain Kimo I’ve come to know. 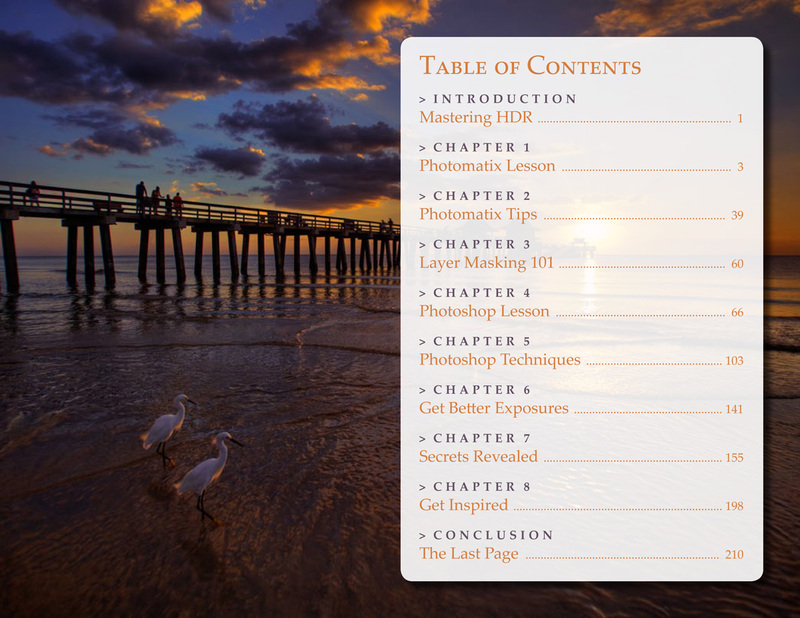 The tutorials are clear and concise, and the photographs are beautiful. In the book, Kim says that he’s always adapting and innovating, seeking to improve his photography. It’s hard to imagine, but if he does, I’m sure he’ll let us know how it’s done, and that’s a beautiful thing in its own right. I know I can’t please everyone, so if for any reason you are unhappy with your purchase, then I will refund you your money back. To receive Captain Kimo’s guarantee, you must request a refund within 30 days of purchase. 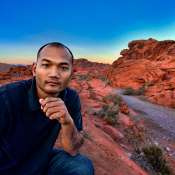 I’ve been post processing images for over a decade. I graduated from the Art Institute of Ft. Lauderdale receiving Best of Portfolio with a degree in Computer Graphics and Animation. Since 1998 I’ve worked professionally as a graphic artist, web designer and illustrator. Currently, I work as a freelance landscape/travel photographer earning commission through my photos. 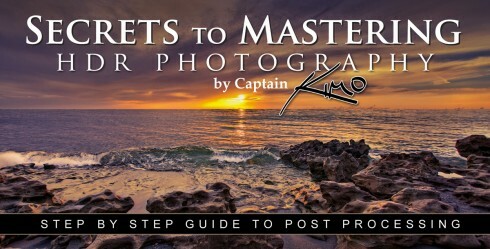 My blog CaptainKimo.com is dedicated solely to the art of HDR photography, and is updated regularly with photos, tutorials, articles and reviews, all of which is related to high dynamic range photography.